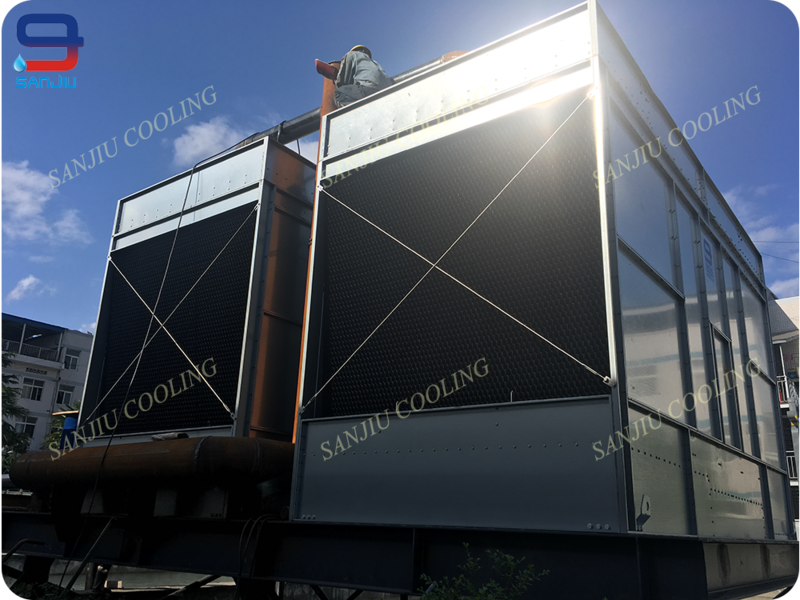 GOM Series cross flow steel open Cooling Towers are generally of higher capacities, can work in series as a group for large projects. Enclosure made in special alloy coated steel or stainless steel. GOM towers are of optimized firm structure, high efficiency, low drift rate, and anti blocking. 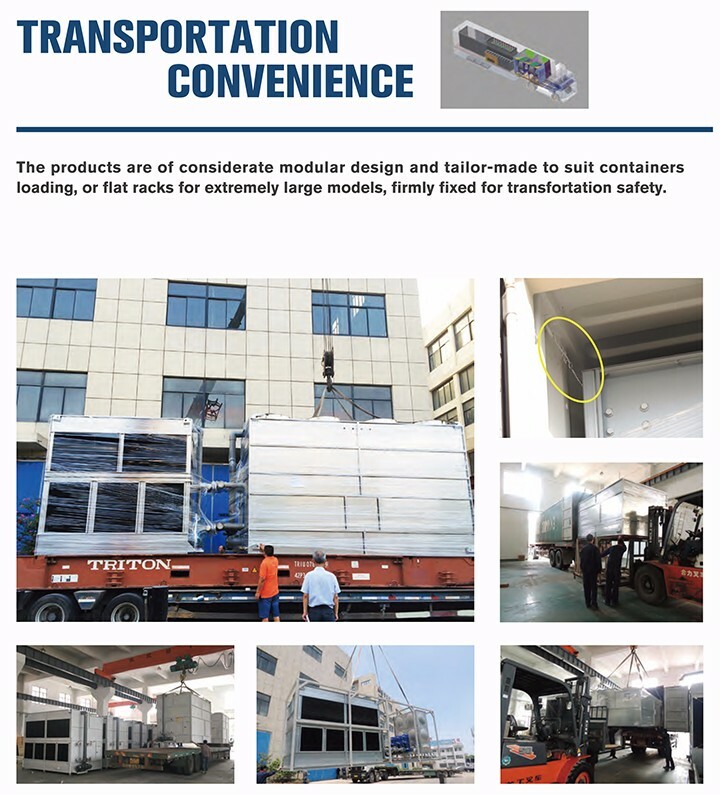 The towers dimensions can be customized to suit standard containers or particular project conditions. GOM towers are widely applied in different fields, to cool circulating water for Melting Furnaces, Induction Heaters, Metal Parts Production Lines, Hydraulic Stations, Power Generators, and other utilities requiring massive cooling water, but not highly demanding on water quality. Initial invest in open towers is lower, but water consumption rate is higher comparing to closed loop cooling towers. The Spiral Target Nozzles used for GOM Series open towers, injection molded in polypropylene unit consisting of two parts, main body with integral target diffuser and a snap-on insert or orifice cap. 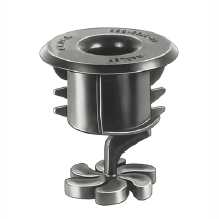 The nozzles installed in bottom of the hot water distribution basins, to eliminate water diffusion decks below the hot water basins, provide full water coverage of the fills by gravity flow, removable and replaceable but of long service life. Sizes and variety depends on the tower size, water flow rate and water quality. Contact us if you need more details on Water Spray Nozzles for Open Cooling Towers. 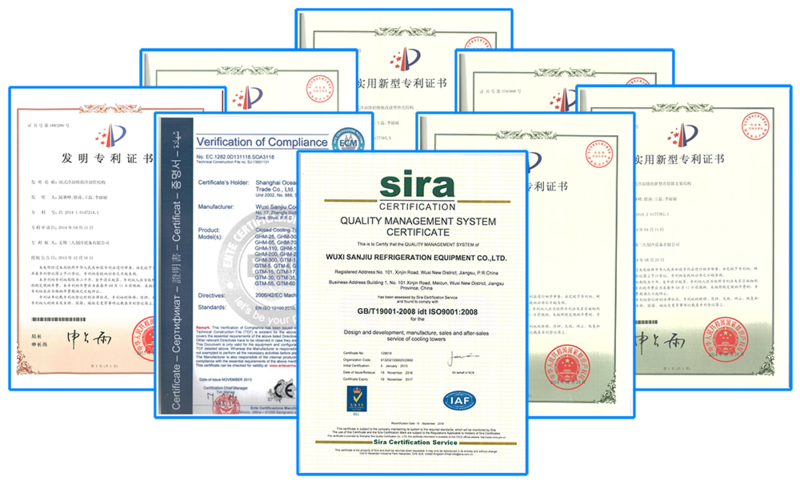 We are ready to answer your questions on packaging, logistics, certification or any other aspects about Water Spray Nozzles、Spray Nozzles. If these products fail to match your need, please contact us and we would like to provide relevant information.